I must admit I was very impressed by how the Bloom was built. There’s no way you can feel the coils- let me remind you there’s a thick 8’ layer of encased high-quality coils- But sleeping on my back or side, I even jumped on the bed, they are perfectly tucked in between the layers of Latex and Foam. Rolling side to side and switching sleeping positions, until ending up on the edge of the mattress, I have noticed so much support coming from all the layers acting up together to keep me from rolling off the Bloom. I was even able to sit on the very edge of it without sliding off it. These are all good factors that tell me how sturdy and supportive this mattress is. Just like any other mattress I have tested coming from Brooklyn Bedding, It is obvious that they chose the most durable foams in the industry with the highest material integrity to minimize body impressions and maximize restorative properties. My video review of the Bloom is still in the works. Below is the journey of the Bloom and Spartan, from the Brooklyn Bedding factory to my bedroom. It took me over a month to film this video, and it was well worth my time. The video below is focused on the Spartan, once I finish editing it I’ll switch it out to a dedicated Bloom review. For those of you who don’t like to watch videos, or those who have already seen it, here is the transcript of the above video: 3 weeks ago I went to visit Brooklyn Bedding factory to check out what’s new, I heard they launched a couple of new mattresses. It also makes sense to me since I live in PHX. Personally, I love to stop by whenever I can wherever I am to at least say Hi to people I work with, so it was a no brainer to stop by and take a tour. Ever since I was a kid I was mesmerized by how things are made, I always dreamed and imagined how things looked like in a factory and how products are created. I used to watch a show called “ How it’s made” it always fascinated me. And today, I consider myself lucky being able to go (and take you with me) on a factory tour! First impression matters. I just LOVE the feel of organic cotton. With all the chemicals induced in almost everything we purchase nowadays I really miss the feel of a genuinely clean, organic mattress cover. Once I ran my fingers on the Bloom mattress cover that’s exactly what it felt like: Clean, beautiful, soft organic cotton. I am so impressed and happy to report that when I unboxed it, unlike many other mattresses, there was no off gassing with the bloom. No off gassing means No chemicals, means a naturally organic product top to bottom. The first contact is important but what about the rest of the mattress? I am also a little hesitant and curious at the same time when it comes to testing a Hybrid mattress. All mattress manufacturers can claim they produce the BEST HYBRID mattresses. They are confident when it comes to their products of course, but it all comes down to testing at the end. Also known as innerspring mattresses, Hybrid mattresses are not all the same. True they have almost the same structure, but do they deliver the comfort you are looking for? Not always. I have this instant reaction that I just cannot help when I see or test a Hybrid mattress. I love to feel and push on the edges of a bed to see if I can feel the coils. Some mattresses I don’t even need to do that, they just stick out and you can see their form around the corners! So annoying. Personally, I think that if they did a good job hiding that irritating coil feel using a premium thick mattress cover, then we are off to a good start. Seriously, to me that alone could seal the deal. But I need to test the whole mattress, so here we go. Below is a review and a look at what makes the Bloom Hybrid Mattress a unique one… Organically! Three levels of firmness let you decide the level of support you need. The cover is a mixture of sustainably sourced Joma Wool and organic cotton. A 3” top layer of Talalay latex provides an element of bounciness that is far different from a typical mattress. It is a blend of synthetic and natural talalay rubber, certified Oeko-Tex class1, which is safe for babies. An 8” base of up to 1,189 individually encased Quantum™ Edge coils delivers ultimate pressure point relief while decreasing motion transfer. A 1” high density foam base adds durability to the mattress. 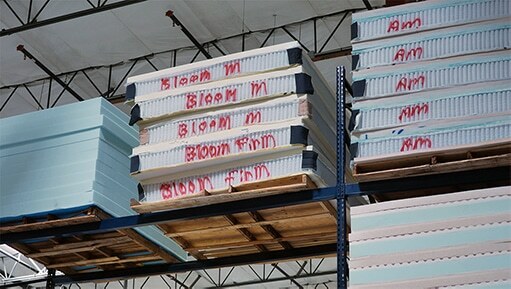 If you are into an organic durable mattress the Bloom is one that you need to consider. The blended talalay latex is more breathable than traditional polyfoam construction, and it will last longer. What Type of Bed Frame Works? When it comes to adjustable bases, The Bloom’s cover prevents it from being used in all of the adjustable settings. You can move the bed about 20 degrees without encountering any cover bunching issues. This means that you can still use an adjustable bed’s anti-snore function, but a zero g type of position is out of the question. The Bloom gets a passable grade here, because it technically works on an adjustable bed, on a limited basis. Here’s one thing not everyone might agree on, the price tag. This mattress sells for $1,799 in Queen size. I know you are probably thinking I can get something similar and a better deal, but it won’t be the same quality. After all The Bloom is Made in America. That alone is a BIG DEAL. I am saying that because I saw the work they do, the machines they operate and the countless hours they spend at Brooklyn Bedding factory to give you a flawless mattress… Well, many of them. So I would rather put it that way, The Bloom Mattress is a high quality product at a competitive price made in the USA.